God has created a wealth-generating system that cannot fail! Are you operating in it? Find out with these 8 Keys to God’s System of Wealth. Money answers everything. The first reaction to that statement by many Christians would be to claim that it is carnal, selfish and outside of biblical values. Yet, it is a direct quote of scripture from Ecclesiastes 10:19. Money is an essential thing in this life, so to desire money is not selfish—it’s necessary. Even if all you want to do is walk the streets evangelizing, which doesn’t take a lot of money, you still need provision for food, clothing and shelter. You still need money! To fund Kingdom work. To “go into all the world and preach the gospel” takes money! To provide well for your own household. That’s your job—not your family’s or the government’s. God has called you to work to provide for yourself. To subdue the earth. To have dominion on the earth, we should be controlling most of the resources. For example, if you don’t like the immorality posted on the billboard outside your office, here is the answer: Own the billboard. If the magazines in the store are offensive: Own the magazines. That’s how you subdue the earth. Some denominations that claim we should not discuss money are often those whose members also work 80 hours each week to earn every dollar they can. On the other hand, many people in the faith camp are waiting for Publisher’s Clearinghouse to show up on their doorstep rather than focusing on the spiritual role work plays in the manifestation of God’s blessings. According to Buddy Pilgrim, strategic advisor to Kenneth Copeland Ministries, founder of Integrity Leadership, and former president of poultry giant Pilgrim’s Pride, we need to align our thinking about wealth with God’s so we operate within His system. If you’re ready for a change in your financial situation, here are eight keys to God’s system of wealth you can learn from today. The idea is simple, yet it takes a lot of spiritual work to get to the place where you let God be your sole Source of supply. The Bible says, “If someone won’t work, he shouldn’t eat” (2 Thessalonians 3:10, CJB), and God is the Creator of work. However, He never intended for us to put our faith and hope in our labor alone. He also did not intend for you to turn anything else into your source—not your family, not your credit cards and not the government. He is your Source of supply. What does He supply? Think about it. The Bible does not say God makes you wealthy; it says He will give you the power to produce wealth (Deuteronomy 8:18). That means, He will always give you something to put your hands to, anoint your ability, and bring THE BLESSING on the scene when you are obedient to His commands. Buddy Pilgrim says the key to allowing God to be your Source is to first know your calling, then to stay focused on your calling, and finally to execute your calling with a faithful heart. 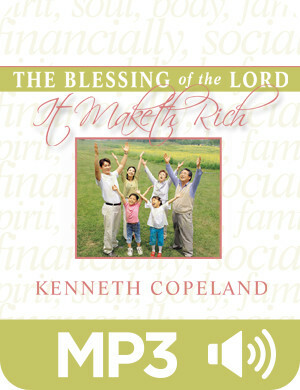 Request THE BLESSING of the Lord It Maketh Rich MP3 audio series by Kenneth Copeland for only $7! Offer good April 14-20, 2019. Christians tend to want the wealth transfer, spoken of in Proverbs 13:22, to be an event. But God’s system is an ongoing system—a continual flow of wealth into the hands of the righteous. Business is that system. That doesn’t mean that every person is called to own a business—but each of us will engage in business in one form or another, whether it be at our jobs, in our purchases or with our investments. Business is the exchange of goods or services for profit or economic gain. When you are employed, you are selling your services. That makes you part of the system. However, don’t discount the idea that you may be called to own or manage a business in some way. As Christians, we are called to take dominion—and business is a powerful place of influence in this world that should be dominated by the righteous. Another way we participate in God’s system of business is by acting as patrons. When you give your money to a business, you are transferring wealth from the Kingdom of light to whatever that business stands for. And if you own a business, you are bringing money from the sinner into the realm of righteousness. Then, there is an interaction with a business that each of us has almost every day. The way in which we treat another man’s business (his system of wealth creation) will determine the success you see in your own wealth. Luke 16:12 says, “If you have not been faithful in what is another man’s, who will give you what is your own?” (NKJV). For example, when you go to a fast-food restaurant, if you take a handful of sauce and then dump most of it in the trash, you are mistreating someone else’s system for creating wealth. When you rent a hotel room or a car, the way you treat what belongs to someone else and their ability to create wealth will impact your ability to receive God’s supernatural intervention in your own efforts to generate wealth. The more we become faithful in these sorts of things, the more we will prove ourselves worthy of THE BLESSING of the Lord on the work of our hands. Work is not a curse, and it isn’t toil. Yet, so often, we hear people complain about their jobs or how much they dread Mondays. That’s because they haven’t had a revelation that their work is more than a paycheck. Work was God’s idea, which means it’s a good idea! God says He will bless the work of your hands. That means you can expect much more than a natural return on your work. Proverbs 14:23 says, “In all labor there is profit” (NKJV), and you know that He speaks of much more than a natural increase. He says whatever you put your hands to will prosper and succeed, and when your heart is right and you are in obedience, His blessing on your work will send you farther and faster than you could ever go on your own. You’ll find yourself promoted when you weren’t expecting it, given a raise when you might not deserve it, and afforded opportunities most people only dream of. Find A Prayer for Work That Prospers here. Abraham was a wealthy man, but it was only through a time of proving and the resulting BLESSING of the Lord that brought him into the Promised Land of prosperity. Faithful in the little things. Be faithful in how you handle your money, how you treat other businesses, how you live. Faithful in where we are now. If you work for a school, focus your efforts on the success of that school. If you work at a restaurant, be dedicated to excellence and being a positive face of that establishment. For in its success, you will find yours. Faithful even when working for unjust bosses. Determine to have faithful stewardship on the job, even when you work for someone who isn’t so nice, like Laban. Ten times he changed Jacob’s wages. Even so, Jacob went forward and was a faithful steward of Laban’s farm. Then, when he tried to leave, Laban said, “I’ll pay you whatever you want.” You see, when you do good work, you can name your worth. Faithful with another person’s business. When you visit another business as a patron, you are visiting someone else’s wealth-creating system. The way you treat that system will determine your own reward. When you are faithful in your work, you will enjoy the Bible definition of blessed, which, according to Psalm 1, says that a blessed man is like a tree planted by streams of water, whose leaf does not wither. Everything he does prospers. That’s God’s system—for His people to be planted by a continual flow of everything they need. Watch Pastor George Pearsons teach more about the laws that govern wealth and prosperity. Some Christians are waiting around for a miracle event—for money to simply fall into their laps out of nowhere. But God-ordained wealth transfers are always work-related. Remember the widow in 2 Kings 4:1-7? She was backed in a financial corner with no way out. Her husband had died, leaving her alone with her two sons. She didn’t have money and creditors were banging at her door, threatening to seize her two children and take them as slaves. Her husband had “revered the Lord,” yet this debt was NOT miraculously canceled. Instead, the prophet Elisha provided her something she could put her hands to that would open the door for a supernatural wealth transfer—gathering and filling bottles with oil. 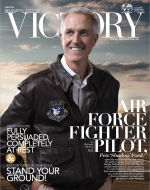 Learn 5 Ways to Overcome Financial Pressure here. Christians seem to have become complacent in the area of taking possession, but the Bible is clear—we are to take territory and have dominion on the earth! That’s why it’s high time we, as believers, start expecting to claim more and more territory. It’s time to repossess the land! You might be thinking, Well, I’m a schoolteacher. I can’t take any ground beyond my classroom. Whatever your profession, don’t limit yourself! God never stays in the realm of the possible. Begin to pray that God will help you take possession of your land, then watch and see how He moves in miraculous ways in your life. No matter what your profession, there is territory to claim, but it begins with a spirit of expectation and a desire to obey God’s command to subdue the earth. Watch Gloria Copeland and Billye Brim teach you why you’re called to rule and reign on the earth. If you’re sitting around waiting for a miracle event—you’re missing it! As Jerry Savelle says, “I would rather walk continuously in supernatural health than ever need miraculous healing.” The same is true of finances. If we walk continuously ina supernatural financial blessing, we will never need a financial miracle. That’s THE BLESSING! This is the first command in the Bible. Take dominion. Possession of the land is not optional, it is not selfish, and it is not a luxury—it’s a command. 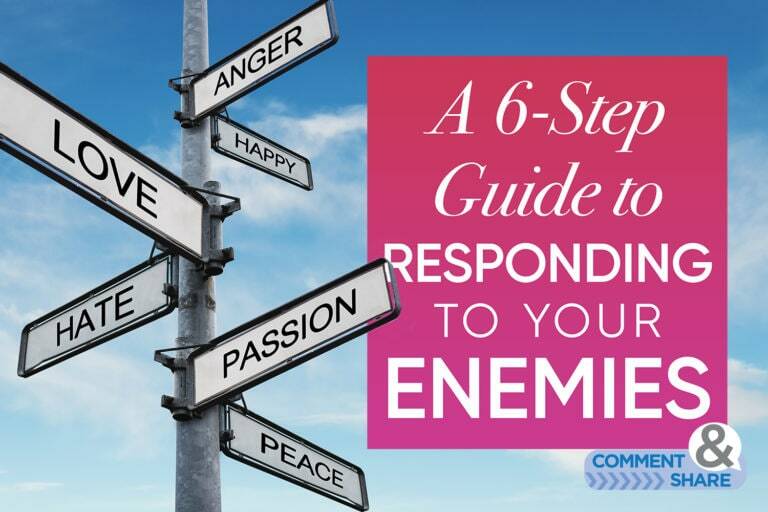 It’s time that we, as Christians, take our job assignment seriously and become a positive influence on the world, rather than being under the control of those who seek to do evil. When you put these eight principles to work in your life and begin to see yourself operating in God’s system of wealth, you will move into levels of prosperity you never dreamed possible. It’s time to take possession of the land. Now get after it! Article Source: Pilgrim, Buddy. Kenneth Copeland and You on the Mountain–Winter 2019. March 2019. Do I Need to Work If I’m Living in Faith?